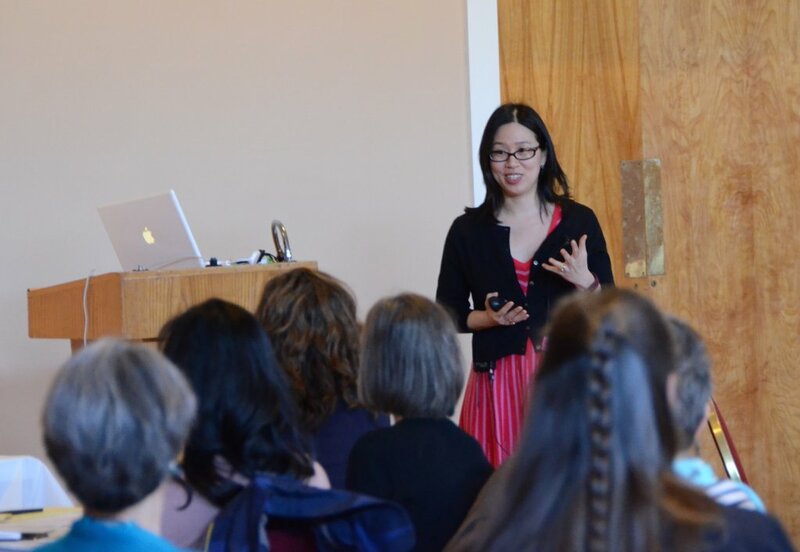 Yesterday, I gave a keynote lecture at Primary Source's Global Perspectives & Diversity in Children's Literature program and I said some things during the Q&A that I feel like I should clarify as they were kind of "off the cuff" and, honestly, verbal communication is not my strong point (that's why I'm a writer!). To paraphrase, that means most Asian-American authors are not writing characters that look like them. This saddens me because these authors are undoubtably gifted and with their gift they have an opportunity to share an experience that has mostly been invisible. Sometimes, when I see an Asian-American author writing a non-Asian character, I'll read their blog interviews and inevitably the author says they wrote their character non-Asian because "that is what felt right." And to this, I wonder. Perhaps they are not imagining an Asian character because of their experiences. In most of the stories around us, from the news to movies and to books, the characters are non-Asian. In general, authors have grown up loving books, and those books very likely never featured a character that was Asian. In fact, we are, in many ways, predisposed to feel like books should feature white characters. Maybe the character is coming to them as non-Asian simply because we are used to characters being that way. That, said, I do NOT think that Asian authors should have to write only Asian characters. The glory of being a writer is the ability to create any world, any character with words. I would never ask anyone to limit that based on their race. So, my fellow, Asian-American authors, this is what I've been trying to say: Write whatever you want, whatever feels right. But I do ask that before you create your character, consider taking a few moments to think. Are you making this character non-Asian truly because that is what feels "right" or because that is what feels familiar? Only you can answer that. But, no matter what, I look forward to meeting whomever you create.